You may want to get your contacts on your Mac to keep things updated and allow you to communicate from any Apple device. It is also likely that the main reason you may want your contacts on your Mac is as a way of having an extra backup for your precious contacts (you can’t have too many of those). With iCloud, keeping your contacts updated across all devices is quite easy. And even better, when you make a change on any of your devices, iCloud automatically syncs the contact across all devices. In this article, we look at how you can use iCloud and other ways to get your important data including contacts from iPhone onto your Mac. There are a few things you need to do to prepare both your Mac and iPhone for this process. These preparation steps ensure that the process of getting your iPhone contacts to Mac will go smoothly. Here’s what you have to do to prepare your devices. Update the iPhone to the latest version of iOS and also ensure that your Mac is updated to the latest version of MacOS. Sign in to iCloud on both devices using the same Apple ID. Make sure you are connected to a reliable Wi-Fi Network. Once that is done, the next step is to set up iCloud contacts on both the Mac and iPhone. To get contacts on your Mac from your iPhone, you need to set up iCloud contacts on your Mac. Here’s how to do it. Another option is to use iCloud.com to transfer contacts from your iCloud account to your Mac. the process is quite simple. These steps should help you do it. Step 1: On any browser on your Mac, go to iCloud.com and sign in. Click on “Contacts”. Step 2: Click on a contact you would like to transfer to your Mac. 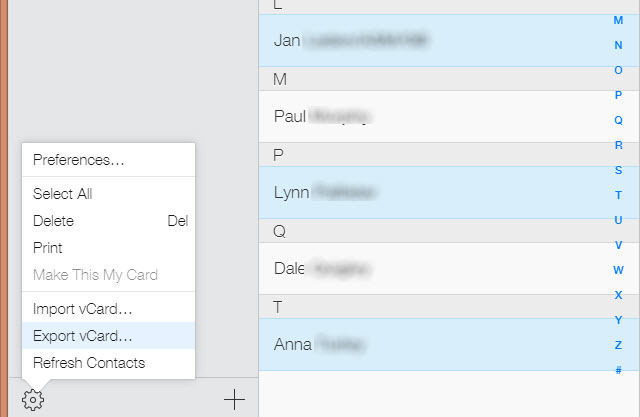 If you would like to transfer more than one contacts, hold down “Command-A” on your keyboard to select all the contacts. Step 3: At the bottom left corner of the window, you should see a gear icon. Click on it and then select “Export vCard” from the options presented. The vCard file will be downloaded to you Mac and will be available on your default downloads folder. 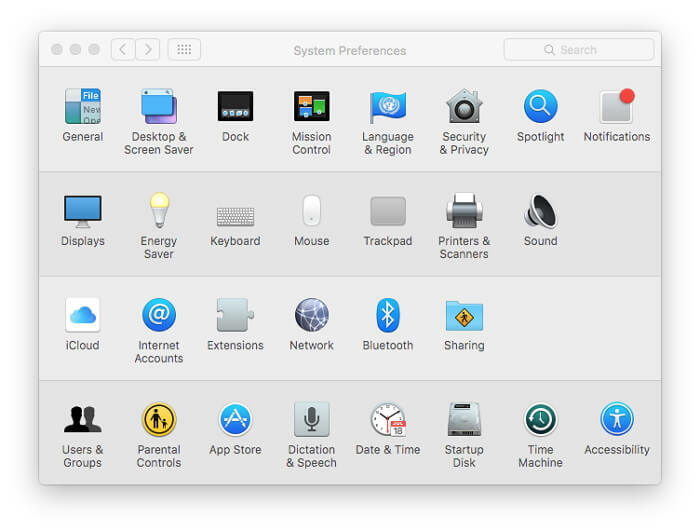 You can now move it to any other folder on your Mac. Being able to transfer any type of data from your iPhone to your Mac is a useful skill that can come in handy for lots of reasons. You may want to transfer data to your Mac to make space on our device for new data or you may need to ensure the safety of the data by transferring it to your Mac. Whatever the reason, finding a program that can help you do that is not easy. There is one however that can be used to export data from your device to your Mac in a few simple steps. This program is iMyFone D-Port Pro and it can do so much more than just transfer data. The following are just some of its unique features. 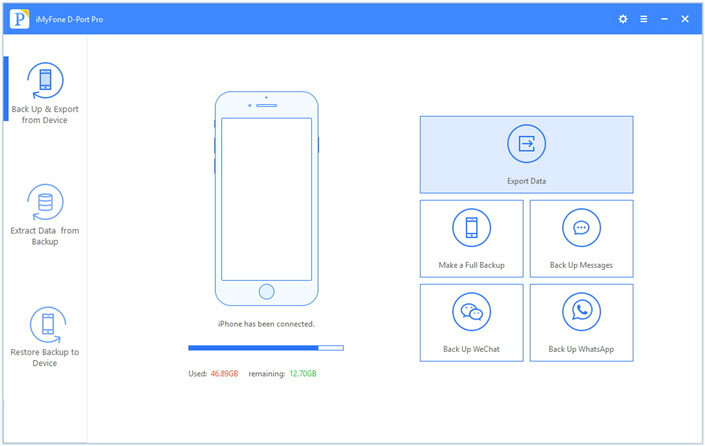 Transfer 18+ types of data from iPhone/iTunes backup/iCloud backup to computer such as messages, notes, contacts, WhatsApp messages, photos and more. 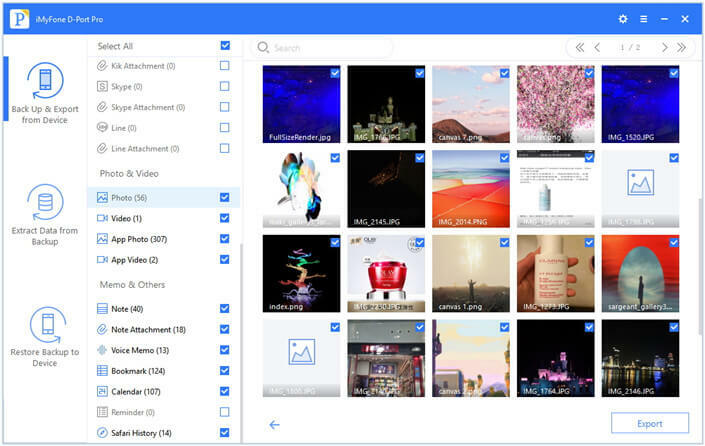 You can use it to create a complete backup of all the data on your device or just a partial backup of your messages, WeChat and WhatsApp data. 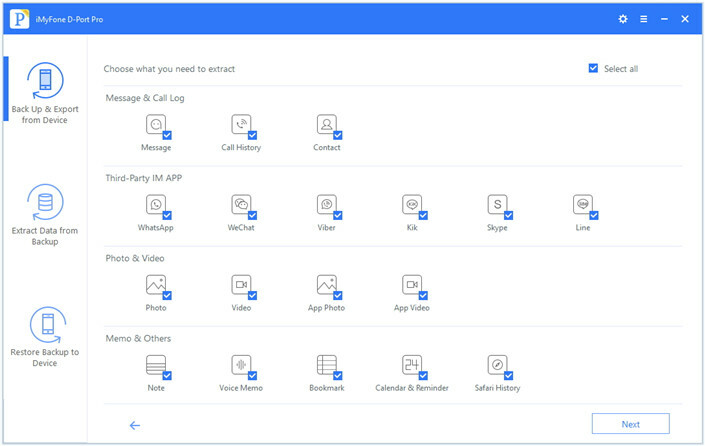 You can choose to restore only messages, WeChat and WhatsApp data from iMyFone/iTunes/iCloud backup. One of the best things about iMyFone D-Port Pro is that it is as effective as it is simple to use. But don’t take our world for it, follow these simple steps to see for yourself. Step 1: Begin by downloading and installing the program to your computer. Step 3: When the scan is complete, you should see a list of all the data on the device on the next page. Select the ones you want to transfer to the computer, select an output format and then click “Export” to complete the process. The exported data will then be available on your computer in a folder you specified during the export process.